Hey, this is cheaper than therapy! 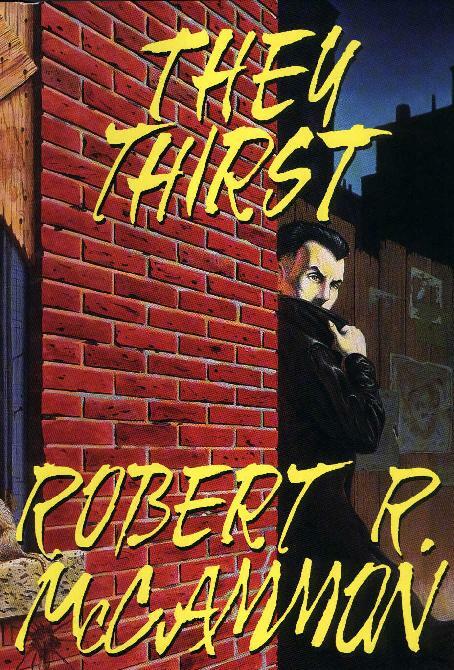 While I’m thinking about traumas from the ‘80s, here’s another horror that shaped my youthful psyche: the first-edition cover of ROBERT R. McCAMMON‘s THEY THIRST. 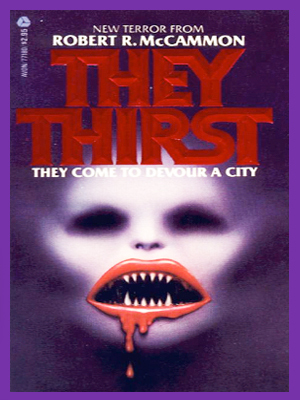 Horror novels were even more common than horror movies in our household, and this book lay on the coffee table for quite some time to scar my kindergarten-era mind. The book itself? Not especially scary. But the cover was the stuff of ‘80s airbrushed nightmares! The dead black pits of the eyes in the skull-like face… the tiny LATOYA JACKSON nose… and worst of all, the bloody red lips and needle teeth of that over-sized mouth. Every time I saw that damned book, I would discreetly flip it over so I wouldn’t have to see it. If it wasn’t for those lips that image would be rather eerie… you hit the nail on the head with that Jaws and Rocky Horror Picture Show love child comment. Was it a vampire book? I know they say don’t judge a book by its cover, but that’s how I got half of the paperbacks I own – and I own A LOT of paperbacks! I love eerie covers like this. I can’t pass it up. Luckily, older yellowed paperbacks are cheap, but at the same time, space in my house is not plentiful. I’m doing my best to plug away! I know, what a cruel fate, right? @Amanda: I have to be forced to cull my paperbacks periodically, because otherwise they will take over my house. I can’t pass up that 25-cent thrift-store find with the lurid 70’s sci-fi or 80’s horror cover! The 1990s US Hardcover. The vampire is the 3-way lovechild of Charlie Sheen, Bela Lugosi, and James Dean, apparently. 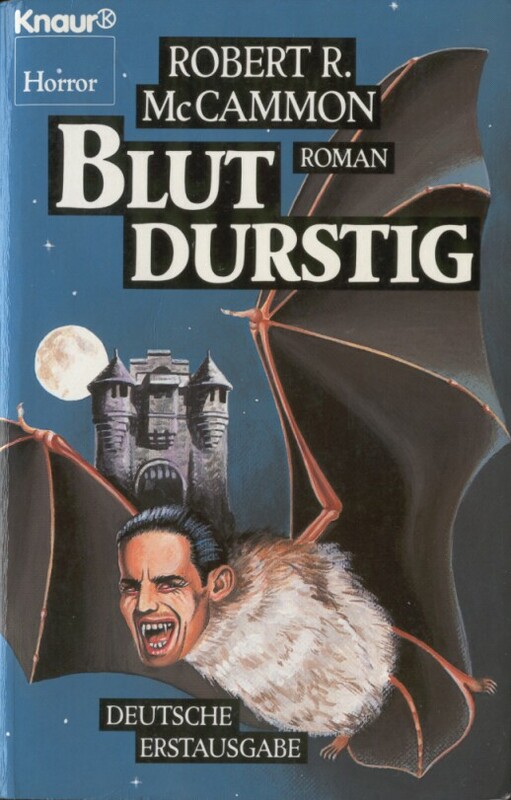 The 1990s German version wins for sheer WTF. Seriously, WTF! @NiNI: Is that JEFF GOLDBLUM modeling for the German version? @Aunt John: Maybe, but my money’s on Fred Kwan from Galaxy Quest (Tony Shalhoub)! Oh good God… after seeing those covers the Jaws/Rocky offspring is the best, hands down. 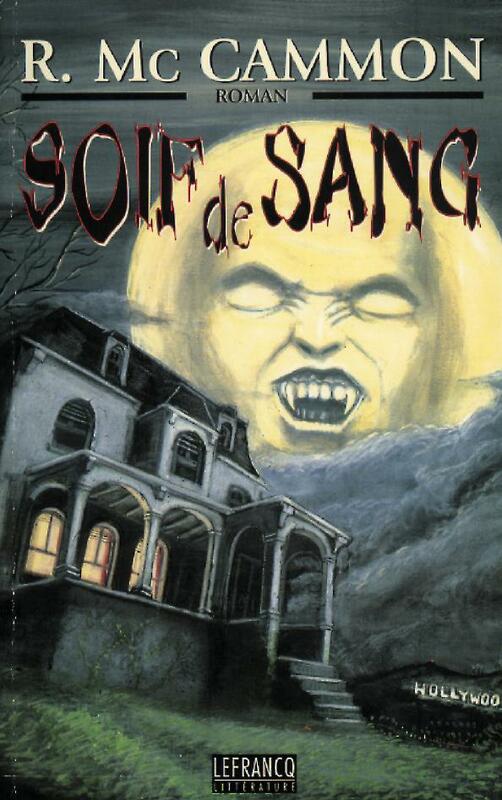 The 1990’s US cover is the least frightening thing I’ve ever seen.